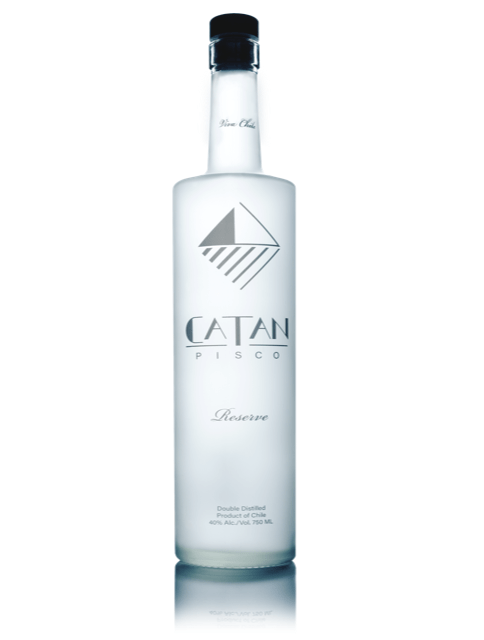 Catan is a new pisco brand that arrived in late 2018, exclusively launching in Chicago. A Chilean variety of the spirit, it is the brainchild of Catalina Gaete, who oversees its production from organic Pedro Ximénez grapes in Ovalle, Chile. It’s one of the more easygoing piscos I’ve encountered to date, offering a nose that is clean on the whole, scented just so with some truffle and mushroom notes, green vegetable notes of green beans and artichokes, and hints of both matchstick heads and fuel oil — all mild but largely classic pisco aromas. The palate is again quite gentle, hinting at florals and some pine needle notes, though a bit musky at times, biting with hints of pepper and mixed spices. Some camphor is particularly evident as the finish builds, fading out with an antiseptic note that finds a final hint of cleansing lemon oil. On the whole it’s a pleasing pisco, though less clearly aromatic than many examples of the spirit. Hi Chris, thanks so much for your review! Would you be interested in being on my guest list for our upcoming Catan Pisco mix off on March 31st? I would love for you to come see how versatile Catan is, as the bartenders at Monnie Burkes are going to be whipping up some amazing Pisco Cocktails for the competition. Please let me know and thanks again for your review!